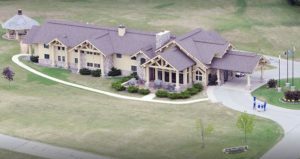 Are you a Heber-Overgaard area youth between the ages of 8-17? 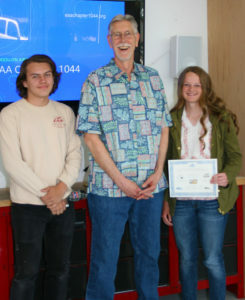 Would you like to experience flight in a general aviation aircraft and learn more about aviation? 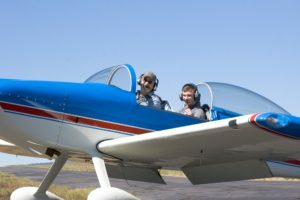 If so, you can now discover more about the EAA Young Eagles Program AND request a free flight for your Experience of a Lifetime online. Just click HERE to get started! 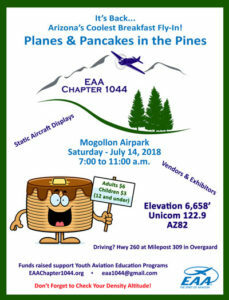 Vendor and exhibitor registration is now open for our Planes and Pancakes in the Pines Pancake Breakfast and Fly-In being held Saturday, July 14 from 7:00 a.m. to 11:00 a.m.
To celebrate the return of this much-anticipated community event, this year EAA Chapter 1044 is offering FREE vendor and exhibitor space to local businesses, organizations and non-profits. Space is limited and the deadline to register is May 31, 2018, so be sure to sign up soon to reserve your space by clicking HERE. We look forward to you joining us! 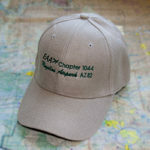 We are now taking orders for new chapter t-shirts featuring our redesigned EAA Chapter 1044 logo. Shirts are available in both men’s and ladies’ styles in seven different colors for $15 each. Orders will close on May 15 and be available for pickup at the June Chapter Get-Together. 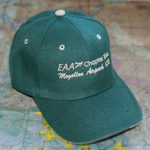 We also have a limited quantity of EAA Chapter 1044 hats in stock for immediate delivery in either green or tan. Cost is $10 each. To pre-order your shirt or reserve a hat, you may click on Chapter Apparel above. 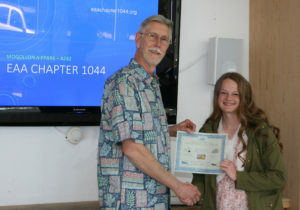 After many years, we decided it was time to do some spring cleaning and freshen up our Chapter 1044 logo. The original logo had been in existence since the chapter’s formation and served us well. The new design incorporates many of the same elements but with a cleaner and more modern look. The new design is also much easier to incorporate into merchandise, print and online media.